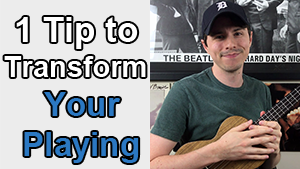 In this lesson, we will be combining fingerpicking and strumming to create and play our first tune! I had a lot of fun arranging this tune! 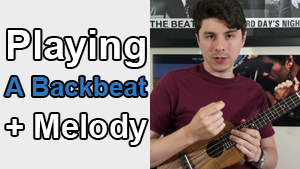 The backbeat (slaps) absolutely make the arrangement stand out. A classical adaption featuring 3 iconic themes from Beethoven’s piano masterpiece. A beautiful melody arranged as a fingerstyle piece. This arrangement features tapped harmonics which add a unique dynamic to the performance. Every second Monday of the month, Premium Members will be able to join Matt for a live lesson followed by a Q&A. All live lessons will be archived and available to stream for FREE after the original air date. 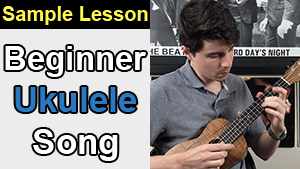 This section will help you gain a thorough understanding of the technique used in the Ukulele Songs & Concept Lessons Series. While many other fretted instruments make use of different playing techniques, i.e. guitar and using picks, the ukulele was made for fingerpicking. 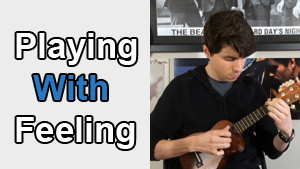 Fingerpicking adds a warm tonal quality to your playing. 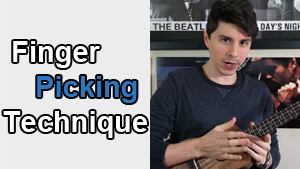 This lesson is meant for the absolute beginner at fingerpicking. 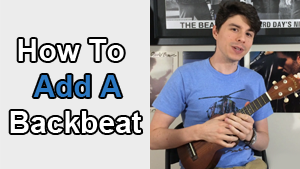 Adding a backbeat (slap) is one way to add a dynamic/percussive quality to your rhythm playing. 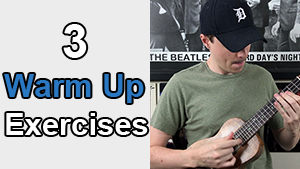 This lesson will provide 8 exercises to help you learn how to tap a backbeat while you play a melody simultaneously. 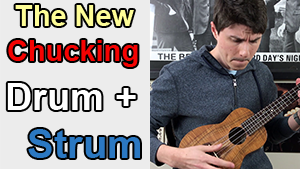 Move beyond chucking with this unique and creative way to add a drum inspired percussive rhythm to your ukulele playing. 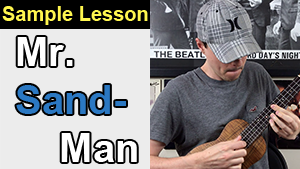 In this lesson, we will be discussing proper left hand form when forming chord shapes and playing single notes. 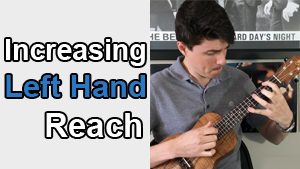 In this lesson, we’ll be going over a handful of ways to improve your right hand technique including hand position, strumming, and fingerpicking approaches. 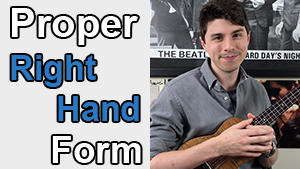 In this lesson, we will be learning two approaches for right hand fingerpicking. 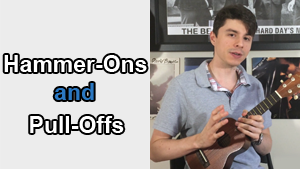 Hammer-Ons and Pull-Offs are great techniques to master because they add dynamics to your playing, while also cutting down on the picking work required by the right hand. Learn how to add color and dynamic expression to your notes and chords in this in-depth analysis on Vibrato. Tapping is a technique that was popularized in the ’80’s. This technique adds a unique and flashy characteristic to your playing. 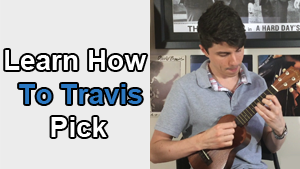 Travis picking, named after Merle Travis, is a repetitive right hand picking pattern where the underlying chords continually change. One of the most popular questions from my adult students is “how do I sound like (insert player)”? Perhaps a better question to ask is, how do you express yourself through the music? Increasing our ability to stretch further with our left hand creates the ability to play new chords and perform more demanding pieces. Warming up before playing is the best way to prevent injury. 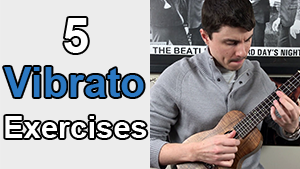 In this lesson, you will learn 3 exercises that help to develop dexterity and technique in both hands. 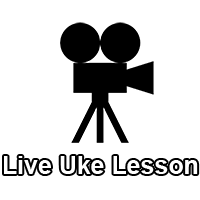 This section will help you gain a thorough understanding of the theory used in the Ukulele Songs & Concept Lessons Series. 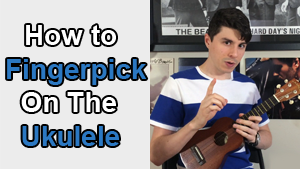 Find out why having a plan is vital to your success in learning ukulele. In this lesson, you will learn how to create a step by step plan that takes you from the beginner to advanced level. 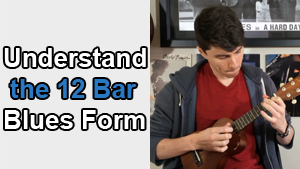 Learn everything you need to be able to read tabs and notation for ukulele. 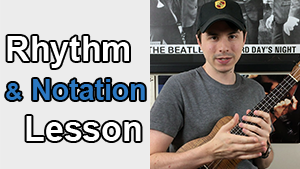 In this lesson, we will learn the importance of understanding rhythmic notation to aide us in reading and playing ukulele tablature. 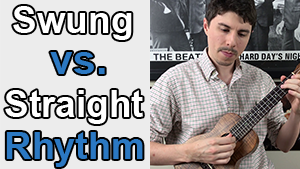 A common stylistic approach used in Jazz and Blues Shuffles is to play with a swung rhythm. But, what exactly does it mean to "swing the rhythm"? That's what we'll be answering in this lesson. 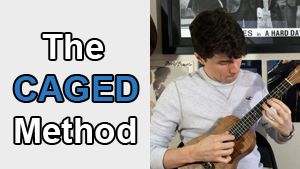 The CAGED Method is a popular system used by many guitarists. 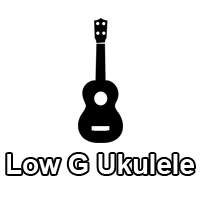 The same concepts can be applied to ukulele, with one difference… we will be using: CAGFD. Blues is undoubtedly one of the most popular forms of music to come out of America. The simplicity of blues is what draws people to it. With only 3 chords in a 12 bar blues, it has the power to move you. 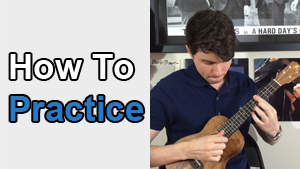 Everyone knows practicing is the best way to improve, but why does it feel so unexciting? The reason is simple, you may be practicing the wrong way. 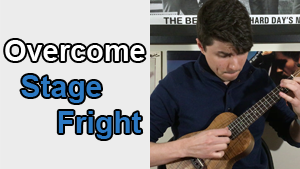 Learn 3 steps needed to help conquer your stage fright and become an incredible performing musician! 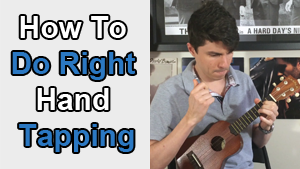 One way to become a better ukulele player is to learn from others. In this article, we will examine why copying is a GOOD thing! 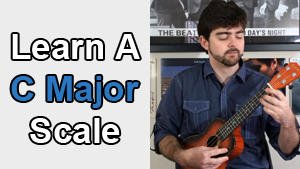 The major scale is the parent, or root scale, in which every other scale is derived from. In modes, it is known as the first mode: Ionian. 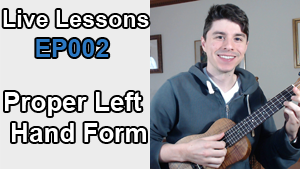 This section will contain free lessons on songs, solos, riffs, licks, and more! 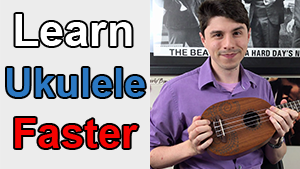 Joe Souza, co-founder of Kanile’a ‘Ukulele, stops by to answer 5 questions, of which 2 came from you guys! Click Here to view all the questions / leave comments. 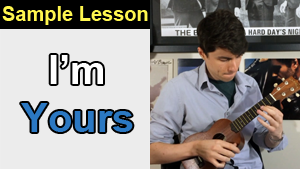 You Asked 25 Ukulele Questions, I Answered. Click Here to ask questions / leave comments. We received 144 questions; 5 of which were selected by random and answered by Taimane! 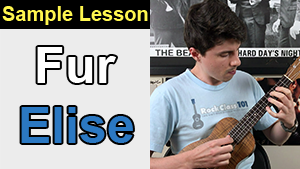 Click here for our Guitar Freebie Lessons, Bass Freebie Lessons, and Drum Freebie Lessons. * All Songs feature complete Tabs, Chord Graphs, and Notation. 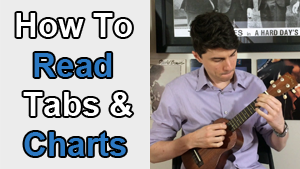 Click HERE for a detailed explanation on how to read sheet music.